We [Christians engaged in transforming culture] don’t use weapons to kill people, we use truth to transform people. And the false gods die of neglect. 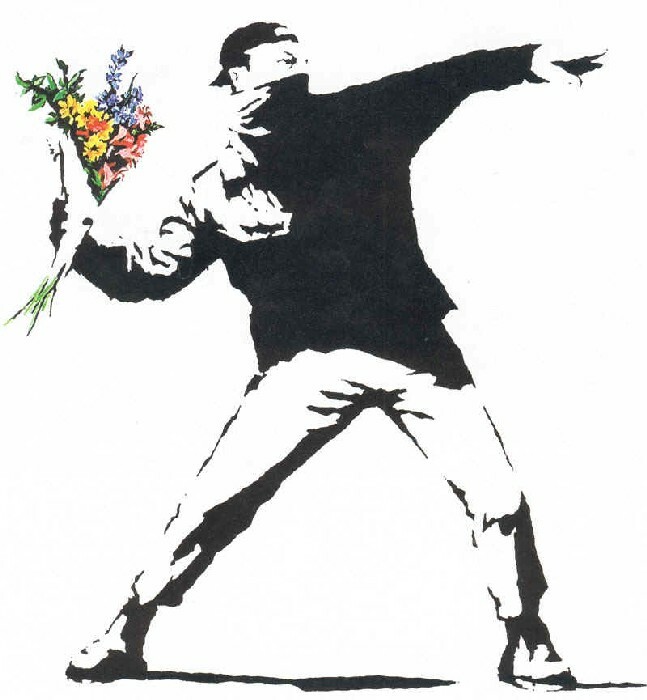 If you’re more of a visual person than a words person, the famous Banksy street-art image below encapsulates the same idea. Trying to stop destructive behaviours and thought patterns with persuasive words is minimally effective. Offering a more appealing alternative is far more likely to lead to success. Let’s start handing out bouquets of truth, generosity and love in our communities, and watch as the idols of greed, selfishness and individualism start to shrivel up and die of neglect.